The Secret US Classics Are Here! After an Olympic year, the wait between US Elite meets can seem like a lifetime! But the time has come, the Secret US Classics are here! The Classics are the final chance for athletes to qualify for the US National Championships in August. Some of the competitors will be making that last bid. The rest will use it as a tune-up meet before National Championships. 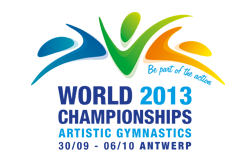 Many of them tend not to compete in the all-around, so it will be interesting to see who competes what! There are a few Seniors who I am excited to see. McKayla and Kyla are back and if their training videos show us anything it is that they are better than ever. Brenna Dowell looks like a dark horse for this year, so I am excited to see what she will bring to the table. 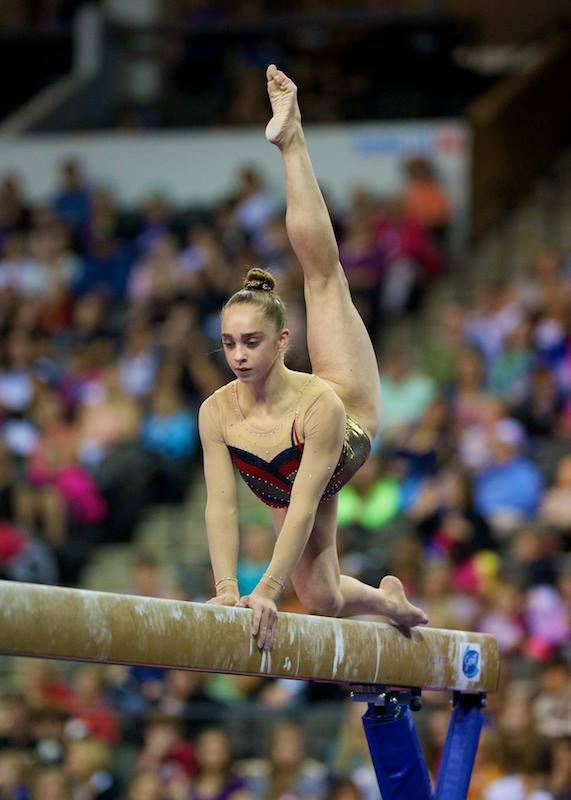 With the two who were expected to lead the pack out with injury- Katelyn Ohashi, Elizabeth Price- and Jordyn, Aly and Gabby waiting to return until next year, the all-around title is anyone’s guess. I however, am super excited to see the Juniors. There is an awful lot of talented girls in that bunch and the competition there will be fierce. Here is all the info from USA gymnastics about how to follow this weekend. 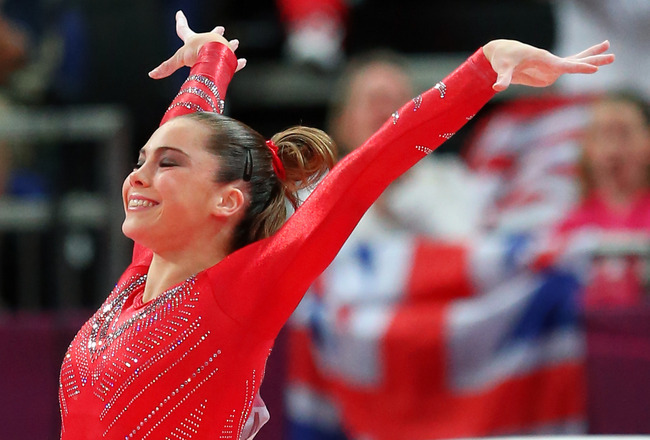 Live podium training coverage. There will be a live stream of both junior (8:30 a.m. CT) and senior (11 a.m. CT) podium training from the Secret U.S. Classic on Friday, July 26. The stream will be available on SecretClassic.com/live. Live competition coverage. 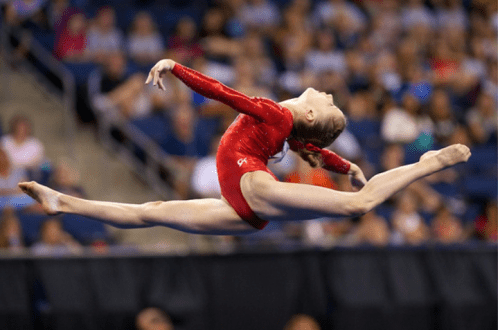 On Saturday, July 27, there will be a live stream of the both the junior and senior competition with commentary and analysis from 1996 Olympic gold-medalist Amanda Borden and 2007 World team champion Samantha Peszek. Junior competition begins at 1 p.m. CT with senior action getting underway at 6 p.m. CT. The stream will be available on our Secret Classic live coverage page. USA Gymnastics on YouTube. USA Gymnastics will post coverage of the Secret Classic, including every competition routine, after the conclusion of the event, interviews from media day and post-competition, and clips from podium training. Online. The Secret U.S. Classic is easier than ever to follow online. Schedules, general event information, start lists, live scoring and more are available at secretclassic.com, which is easily viewable on smart phones and other digital devices. Click here for live scoring. Social Media. USA Gymnastics is providing live updates and exclusive content, including videos and photos, from the Secret U.S. Classic on Facebook (facebook.com/USAGymnastics) and Twitter (@USAGym). Gymnastics fans can follow the action easily and join the conversation on Twitter by using the official hashtag of the 2013 Secret Classic, #SecretClassic. Here is a complete list of the expected competitors at the 2013 Secret US Classics.